We have set up and easy to use catalog to select your dahlias. 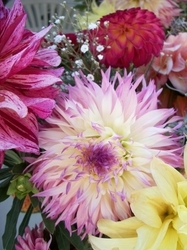 You can search for dahlias by the dahlia name, a specific color, and certain shape. Dahlias may also be can be found by flower size, and the plant height. Check out the new 2017 dahlias we are growing.